The revolving door takes a spin. Now that the Red Menace has been taken care of, NATO has struggled over the last twenty-odd years to redefine itself. 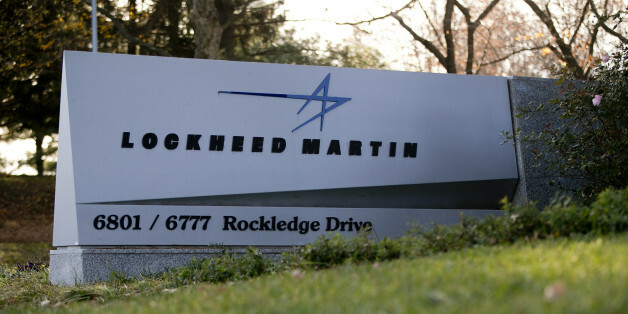 Defense companies thrive when global conflicts drive up military expenditures, and Lockheed Martin is no exception. The company has made increasing its exports a top priority. Rather than treating it as a jobs program, let's make the F-35 program rise or fall on its merits. That would mean holding off on the 450-plane "block buy" contemplated by the Pentagon, and deciding whether it's worth going beyond the 500 planes already committed to, out of a planned total of over 2,400. By steadily consolidating Ultra Conservative Republican support, Cruz has created an illusion of momentum; but no one knows better than Cruz that he urgently needs to widen his base. When you spend $400 on a motorcycle helmet, you have certain expectations about quality and safety. But what should you expect when your helmet costs $400,000? Well, if you expected it to be magically able to see through walls, you'd be right. It won't actually give you Superman's X-Ray vision, but it's pretty close. They spent a lot of time looking at protesters’ tweets. Readers -- and taxpayers -- should take these corporate connections into account when assessing the objectivity of pro-bomber pieces like the Mitchell Institute report. Of course, even interested parties can be right some of the time. But that is not the case with respect to the new bomber. Nuclear weapons have been in the headlines for years and yet all attention in this period has been focused on Iran. Almost never in the news, on the other hand, are the perfectly real arsenals that could actually wreak havoc on the planet, especially our own. OK, well perhaps all Government have their own idiocy but we are clearly the World's idiots with our RIDICULOUS military budget, which is "officially" $711Bn, but that doesn't count the portion of our debt that comes from our Military Adventures and the cost of the interest it takes to service that debt. A rocket can be fixed. A mindset has to be changed or those holding it made irrelevant. Breaking news! Nearly four years after budget caps imposed by Congress began to modestly rein in runaway spending at the Pentagon, the sky hasn't fallen. In fact, none of the dire predictions of Pentagon contractors -- from mass layoffs to a collapse of the U.S. military -- have come true.